Before having a look at the benefits we acquire from the cord blood, let us first clearly know the basics about the cord blood. Cord blood are entirely different from the blood that flows through your body, since these cells are totally taken from the umbilical cord and are preserved in the blood banks for the future use of treating diseases caused to the same person which is totally affecting the immune and blood in his body. In this regard, these cord blood and the cord tissues are highly useful and has high success rates in curing the disease in the patients. In this article, let us have a look at the Benefits of Cord Blood. There can be a classification of certain advantages and certain disadvantages, when discussed about the cord blood. Even though there are many disadvantages for cord blood, the only thing that motivates me to write this article is the certain benefits it has on decreasing the death rates among the people. Let us have a look at some of the benefits of cord blood. The collection of cord blood samples is very much easy when compared to other methods since they are usually done at the time of the delivery of the baby. Hence, this procedure is always considered to be the safest and the simplest procedure. Usually the cord blood is collected from the newborn placenta and hence there is no disturbance made to the mother of the newborn placenta. There is also no pain witnessed during the procedure by the newborn infant and hence there is no symptoms of getting feared of any infection to the baby or the mother. The collected samples which are stored in the blood bank are usually given in advance for people who require it in the future. All the prerequisite tests are completed and then the cord bloods are stored at very low temperature and are frozen. This frozen state implies that they are very much ready to be used. If there is an emergency and there is a need for a particular blood group, then tests like HLA typing and similar other tests may be done to confirm the match percentage. There is one another criteria which is an important benefit that we acquire from these cord bloods. They cord blood does not need a perfect match to get transfused and to cure the disease for other members. The cord blood transplants can be done to people who have partial match with each other. Only in rare cases such as the bone marrow transplant operations, there is a compulsion of sticking with a perfect match. In recent studies, it has been revealed that the procedures performed with the partially matched cord blood for the patients who suffered with severe disease, were able to survive until they found a perfect match of cord blood for performing the further procedures. With this process coming into act, there can be several patients who suffer from various life-threatening diseases can be saved. GvHd usually refers to the Graft vs Host disease since the cord blood has less number of immune cells which at times may totally differ from those present on the recipient’s body. In most cases, problems may surely arise because of this phenomenon, but in the transfer of cord blood, there is no such cases reported till date. These cord blood cells are also capable of eradicating the viruses and carrying them along to the recipient’s immune system at the time of transplantation and after the transplantation of these blood cells into the recipient’s body. In some countries, there are new infants who are usually born with these types of viruses and in some countries half the people are anonymously affected by these virus types. During the transfusion of the blood from the donor to the recipient, there are low risks of complications at the time of transplantation. Also they can suppress the growth of any disease in the body by treating them at very early stages.Hence this decreases the death rate and improves the success rate in transplantation as the physicians can easily find the best option. These stem cells are usually preserved at a very ambiguous environment and maintain the freshness among the cells which helps in anti aging problems and makes the skin layer and the tone of the body remain younger. They also help in preserving them from various other environmental factors and some other common types of viruses and infections which may decrease the functioning level of the cord blood in the recipients. 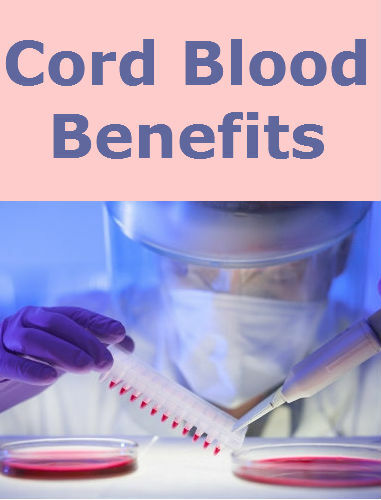 These cord bloods are useful in several other ways such as the cord blood stem cells can be used to cure the various diseases which are related to blood, and cancer causing cells eradication. The tissues of the cord blood tissues are very much helpful in treating the disorders which will help in curing the diseases like diabetes and gastrointestinal problems.